There’s no doubt that a cantilevered, bespoke, or floating staircase makes an impressive first impression in any home. But let’s get the science out of the way. 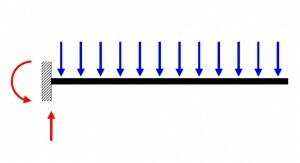 A cantilever is basically a rigid structure like a beam, plate or, in our case, a stair tread that, rather than being supported at both ends, is anchored at one end so that it can support a load. When it comes to staircases, the treads may look like solid wood but they actually contain a steel core that supports them. Another option is a partial cantilever, when a riser, the gap between stair treads is only partially solid, allowing the tread to jut out but not to the extent of a fully cantilevered staircase. Or you can fill the riser completely to create a ribbon-like folded cantilever. While a bespoke floating staircase will certainly add the wow factor to any home, there are obviously safety considerations that need to be taken into account. By its very nature, a floating staircase is going to be more open than usual and building regulations will need to be taken into consideration. Part K of the building regulations relates to stairs and specifies when and what kind of hand rail and guard is needed. Luckily, you don’t need to know a great deal about the ins and outs of these regulations, because we can advise you on what will be needed. 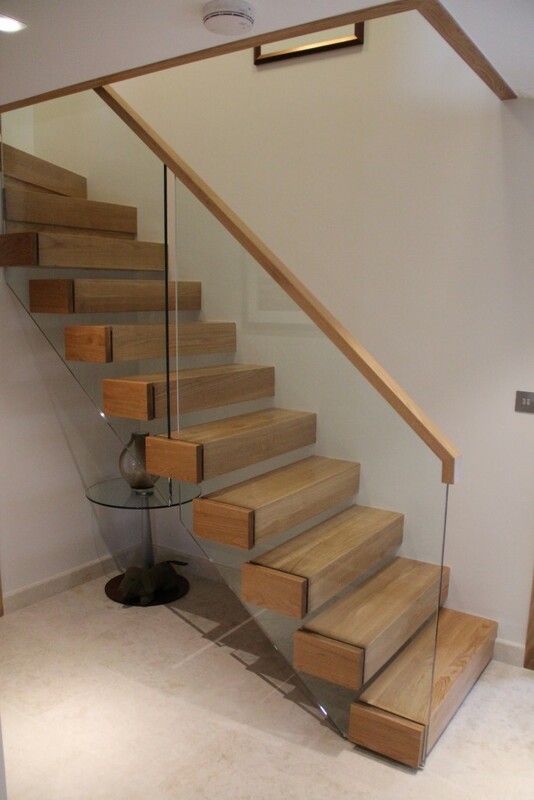 The Jarrods Approach means that we’ll be here to support you throughout the entire process of creating your bespoke staircase, from the first meeting to the final sign off. This is vital, since you and your loved ones will be using the staircase we create every day. That’s why we take the time to discuss the best approach for keeping it safe and secure. We’ll consider the way it’s going to be used, the various regulations that need to be met and the best way to integrate these elements into the final design, without effecting the look and feel you want to create. This might mean one or two handrails, a glass guardrail, or even a balustrade if it’s the safest option. While you won’t necessarily want to detract from the floating effect, sometimes safety features will need to be incorporated. 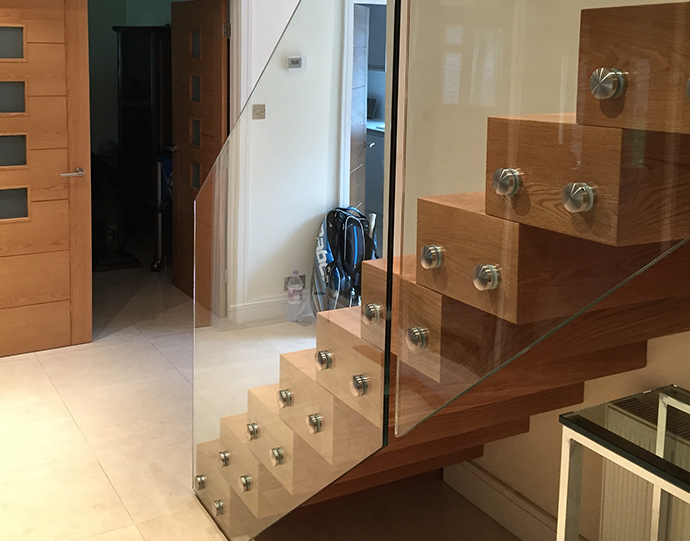 Using glass can offer the extra support and safety you need but, because it’s transparent, you won’t lose the wow factor of a floating staircase. You should always use durable materials to avoid sagging, check for any specific regulations or building codes relating to your property or region, and ensure that your wall can support the staircase safely. If you approach a specialist installer of bespoke staircases, all of these elements should be taken into account at the earliest stage possible. A cantilevered staircase can add an innovative, impressive feature to your home, if you’ve always dreamt of being able to walk up one, tell us how you’ve always envisioned it. At Jarrods, we always tell our customers that the only limit is their imagination, so all you have to do is tell us what you’ve always wanted and we’ll help you to make it a reality. Just get in touch with one of our team today.